Notepad Tutorial tutorial What is Notepad? Notepad के हो? Notepad Tutorial in Nepali? 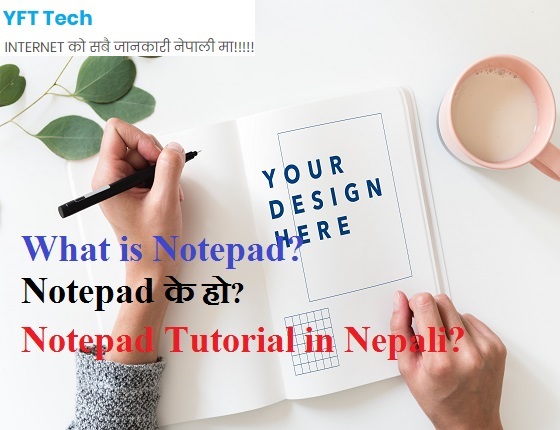 Notepad Tutorial in Nepali तपाईहरुलाई स्वागत छ. Notepad Tutorial in Nepali मा तपाईहरुलाई Notepad संग सम्बन्धित Tutorial दिन गईरहेका छु. यो Notepad तपाईहरुका लागि सजिलो हुने गरि उपलब्ध गराउछु. Notepad Tutorial in Nepali बाट तपाइले सबै कुरा Nepali सिक्नु हुनेछ. 1. What is Notepad ? Notepad के हो? 2. Use of Notepad? Notepad कसरी प्रयोग गर्ने? 3. How many Versions of Notepad?Notepad कति प्रकारका छन्? 4. How to Install MS Notepad? Notepad कसरी install गर्ने? 5. How to open MS Notepad? Notepad कसरी खोल्ने? 6. Some Basics of MS Notepad? Notepad को केहि Basics? 6.1: Opening aFile In Notepad? Notepad ma File कसरी खोल्ने? 6.2: Saving afile in Notepad? Notepad मा file save कसरी गर्ने? 6.3: Cut word in Notepad? Notepad मा word लाई कसरी Cut गर्ने? 6.4: Copy word in Notepad? Notepad मा word copy कसरी गर्ने? 6.5: Paste in Notepad? Paste Notepad मा कसरी गर्ने? 6.6: SelectingLines and Words in Notepad? Notepad ma Word र Lines कसरी Select गर्ने? 6.7: How toPrint a Notepad Document? Notepad Document लाई Print कसरी गर्ने? 6.8: Closing File in Notepad? Notepad file लाई closing कसरी गर्ने? 6.9: Notepad Document को Page Setup कसरी गर्ने? 7: How to change Font in Notepad Ducument? Notepad Document को Font कसरी change गर्ने? 8: How to Insert Date and Time In Notepad? Date and Time Insert kasari गर्ने Notepad मा? 9: All Menu Use of Notepad? Notepad ko All Menu कसरी प्रयोग गर्ने?